Liberals are kind of short-circuiting in response to Paul Ryan's "Path to Prosperity," which contains so many bad Republican economic proposals in one place you don't even know what to say about it. But there's really one clear issue here that encapsulate both the intellectual and the political vulnerablity of the plan: It contains a massive, regressive tax cut. Ryan doesn't mention the tax cuts, of course, because they unravel the entire rationale for his proposal. Americans overwhelmingly oppose cuts to Medicare and Medicaid. 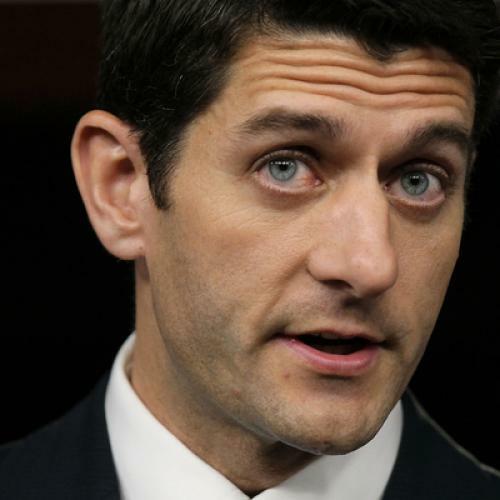 Ryan understands he can only make his plan acceptable if those cuts are seen as necessary to save the programs. And certainly some level of cutting is necessary. But Ryan's level of cutting goes far beyond what's needed to preserve those programs, and it does so in order to clear room for a very large, regressive tax cut. He is making a choice -- not just cut Medicare to save Medicare, but also to cut Medicare in order to cut taxes for the rich. Ryan does not want to debate that choice, but he ought to be forced to do so. That is exactly what Bill Clinton did to defeat the Republicans in 1995. Indeed, the debate was virtually identical. Republicans insisted the debt constituted an existential threat. They proposed to "save" Medicare by privatizing it. And Clinton pointed out that their plan cut Medicare in order to finance a regressive tax cut. He won the argument because Medicare is highly popular and tax cuts for the rich aren't. Indeed, the divide on this issue is so overwhelming that Republicans simply refuse to acknowledge their position. The standard GOP approach to budget debates for twenty years has been to vigorously isolate debates about taxes and debates about spending. If presented with a question that ties together debates about taxes and spending, Republicans will automatically deny the premise, and recontextualize taxes as a question of economic growth or abstract fairness. The two can never be discussed in tandem, because doing so clarifies a choice Republicans need to obscure. The response to Ryan's budget is really simple. He cuts Medicare and other vital programs in order to finance a huge tax cut for people who don't really need it. That's the point Republicans don't want to defend but should be forced to.